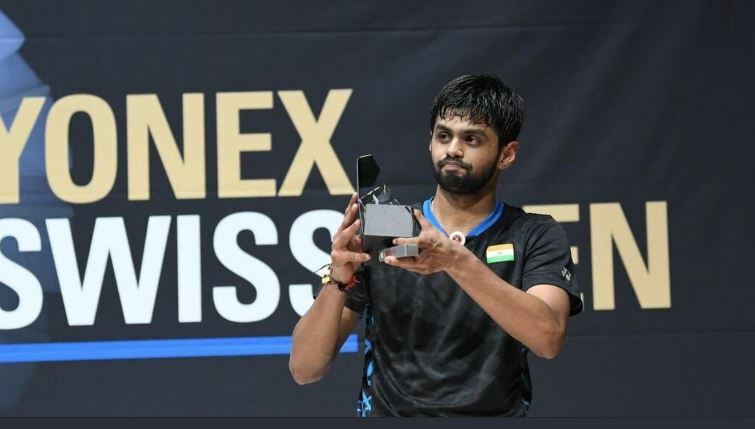 Basel: Indian shuttler B. Sai Praneeth settled for a runner-up finish at the Swiss Open after losing the men’s singles final to top seed and world number two Shi Yuqi, on Sunday. Playing his first final in almost two years, World No. 22 Praneeth lost 21-19, 18-21, 12-21 to the Chinese in the summit clash, which lasted 68 minutes. The last time Praneeth featured in a final was when he clinched the Thailand Open title in June 2017. Praneeth did well to win the opening game despite Yuqi making a brilliant comeback from 12-18 to 19-19. Sai Praneeth shared the pictures on his official Twitter handle.